Funeral services for Mr. James “Jimmy” Tarpley will be 2:00 P.M. Tuesday, April 17, 2018, at Ligon & Bobo Funeral Home with Bro. Terry Fesler officiating. Interment Wilson County Memorial Gardens. Visitation Tuesday 10 AM until service at Ligon & Bobo. Mr. Tarpley, age 83 of Donelson passed away Saturday, April 14, 2018, at his home. Born October 20, 1934, in Wilson County, he is the son of the late Wayne and Elsie Bain Tarpley. He was in the United States Navy for four years, serving as a seaman on the U.S.S. Putnam 757 Destroyer. He retired after forty years from Vanderbilt University Medical Center as supervisor of HVAC systems. 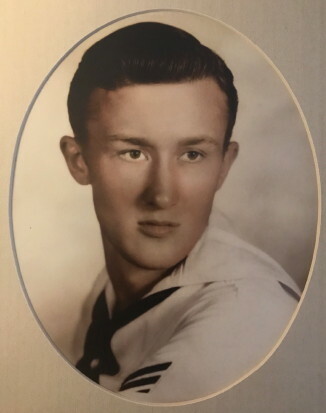 He is survived by his wife of sixty two years, Helen Walden Tarpley; daughter and son in law, Rene and Marty Boshers; grandson, Alex Boshers; four sisters, Bettye Sears, Marie Cull, Wanda (Wendell) Huff and Anne Tarpley; several nieces and nephews. Pallbearers: Marty & Alex Boshers, Richard Clemmons, Wendell, Keith & Ryan Huff. I have many memories of Jimmy and Helen playing cards and hanging out with Rene.